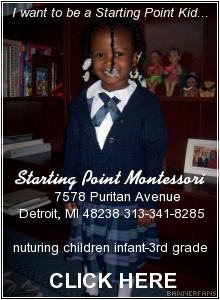 When I was a kid, my father did not have steady employment until I was about 8 years old. So my parents had to cut corners to pay the bills. My mom never bought commercial cleaning products, but our house was spotless. All the mirrors, windows and the floors shined - and that is saying something considering there were three kids running around in the house. So how did my mom keep the house clean without spending lots of money on cleaning products? 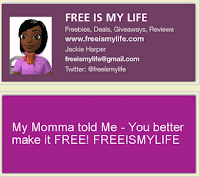 She used all natural products like vinegar and I also learned how to use vinegar in my house to save money on cleaning. Natural cleaning products like Heinz® All Natural Cleaning Vinegar are cheap, versatile cleaners that can be used throughout your home. Did you know you can cook AND clean with Vinegar? 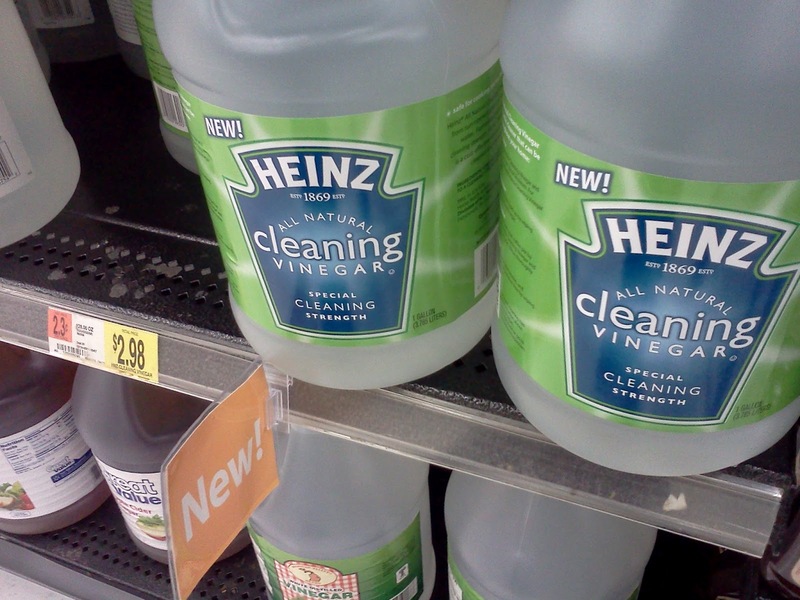 Now when you go stores like Walmart looking for Heinz® All Natural Cleaning Vinegar, you might be tempted to look for it in the cleaning aisle. But Heinz® All Natural Cleaning Vinegar is right alone side all the other vinegars because it's made from sun-ripened grain and crystal-clear water, so it's safe for cooking and cleaning. 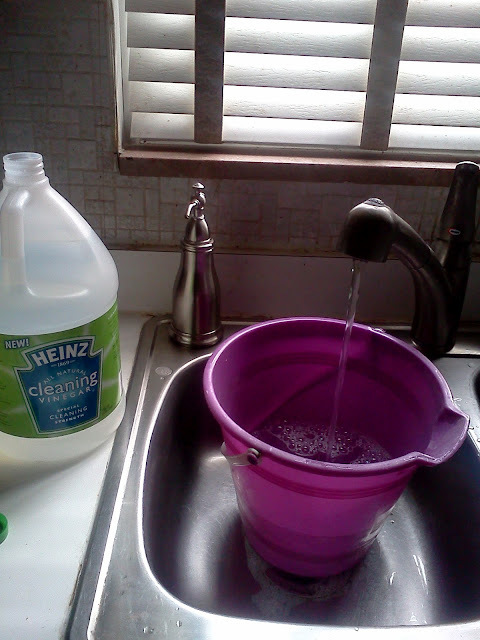 Heinz Cleaning Vinegar is a cost-effective, chemical-free alternative to harsh cleaners. 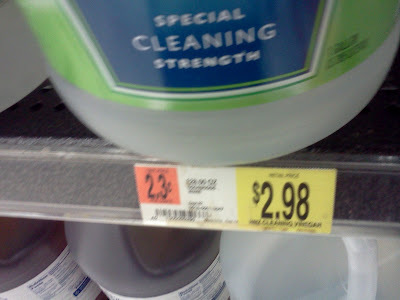 And the best part is you can get 1 gallon of cleaning vinegar for less than $3. What can you clean with vinegar??? 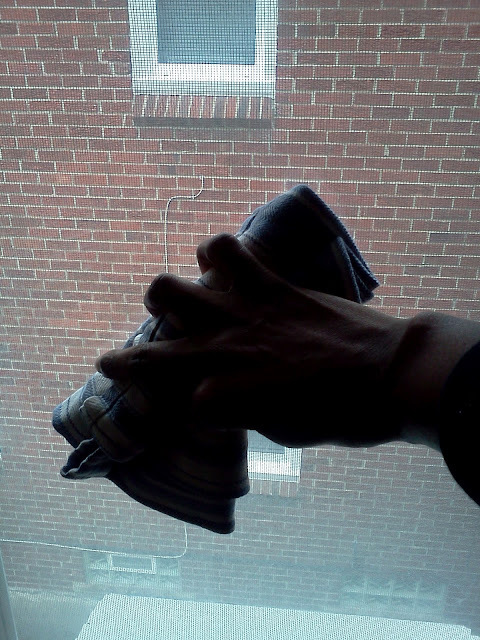 Now I am pretty certain most people know that vinegar can be used to clean mirrors and windows. I still remember my mom cleaning all the bathroom mirrors with vinegar when I was a kid. 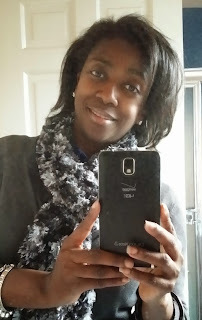 My mom would take old bed sheets and cut them up into rags so she would have plenty of lint-free cloths with which to clean the mirrors and windows. A little vinegar and a white cotton rag can leave your windows and mirrors clean and streak free. 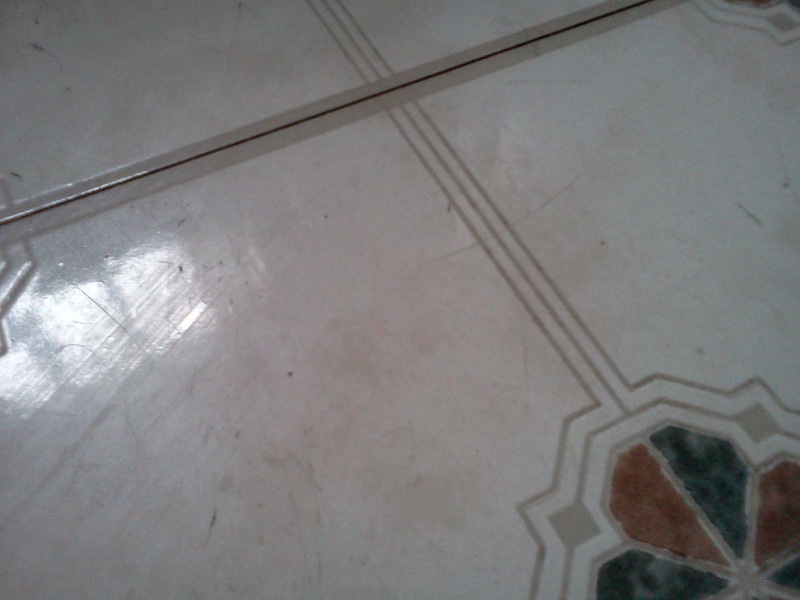 The tile floor in my kitchen takes a real beating with a 12 year old boy in the house. But combining one-half cup Heinz Cleaning Vinegar with one gallon of water cleans tile or linoleum on the cheap. 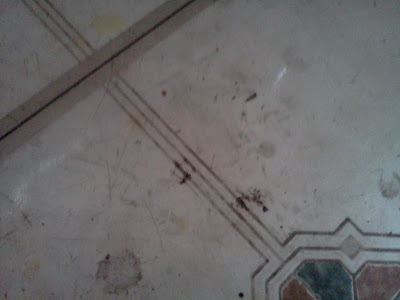 For the tough stains on my kitchen floor, I apply undiluted Heinz Cleaning Vinegar directly on the stain. Remove bathtub and tile film buildup by wiping surfaces with Heinz Cleaning Vinegar. Remove mineral deposits from your coffee pot by filling the reservoir with Heinz Cleaning Vinegar and running through a brew cycle. Rinse thoroughly with two brew cycles of water. Keep exhaust fan grills, ceiling fan blades and air-conditioning grills grease- and dust-free by wiping with Heinz Cleaning Vinegar. 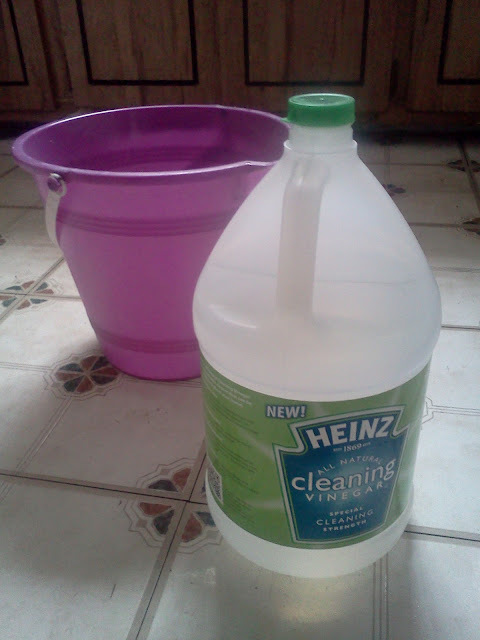 So if you are tired of paying out big bucks for cleaning supplies, or just want to clean using green methods, try out Heinz Cleaning Vinegar. 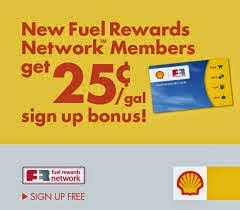 At only $2.98 per gallon, you have nothing to lose and a clean house "on the cheap" to gain. 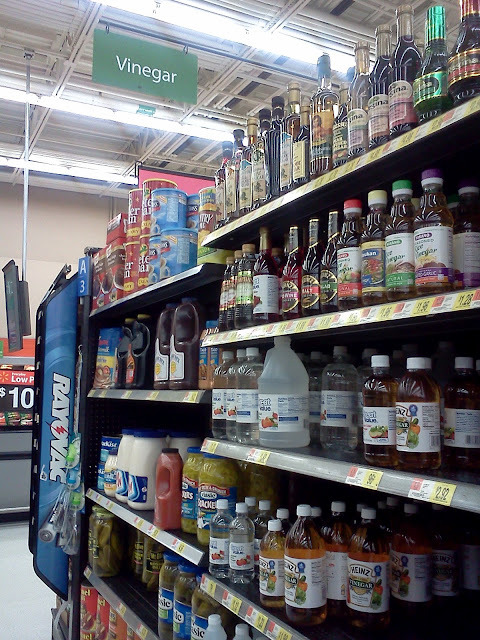 And check out my entire Heinz Cleaning Vinegar shopping trip at Walmart by viewing my photos on Google+.